App stores are getting bigger every day and discovery is a challenge for both users and developers. Because app stores are search-based and category-based, the interface is good if you already have a sense for what you are looking for. If not, then the interface falls short in terms of actual discovery and finding new, relevant apps. There are also tons of dubious or anonymous reviews which add noise, and paid installs skew app charts significantly. In fact, paid installs actually create a tide of organic installs, and all sorts of app store manipulation can happen using this concept. The list of app discovery issues is a long one and has been well documented. In the web world, a user need not fret if they don't know what they are looking for or if they forget the name of a website. Google does a pretty good job of scouring the web for you and serving up relevant information. The infrastructure behind the digital advertising ecosystem is also extremely robust, so even if you can't find what you want, there is a good chance that a site will find you. The web is also far more fluid - any time you go to Reddit, YouTube, or Facebook, you will find yourself linking to other sites quite naturally. This doesn't happen in mobile since apps operate in silos and there is a lot of friction in switching between apps. 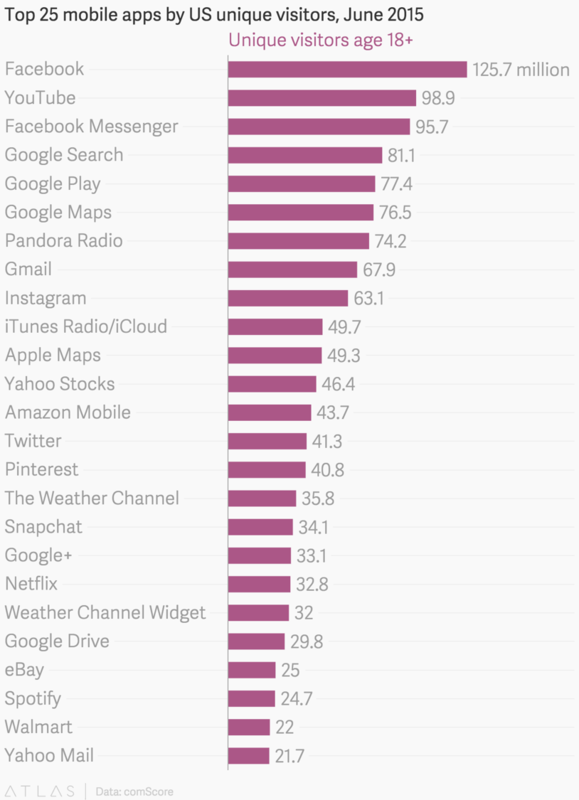 Adding to the app discovery problem is developer concentration. According to comScore, roughly 70% of U.S. unique visitors in the top 25 apps come from just four developers - Facebook, Google, Apple and Yahoo. There's a variety of way to cut this data, but it looks bad any way you slice it. Even in individual categories like gaming, getting into the top 100 apps is crucial for getting noticed. It's easier now more than ever for big, sophisticated companies to flex their marketing muscle and dominate the rankings. Sure, you do see a steady stream of breakout apps, especially if they get featured, but those are few and far between. There are hundreds of thousands of apps that never see the light of day. The fact is, the app store is not architected to work for small developers and so large developers have a significant advantage. Add that to the fact that most mobile users download ZERO new apps per month and it becomes easy to spot the supply/demand mismatch. So you painstakingly develop a killer app, you somehow get featured by Apple and garner some positive momentum, what next? The next step is retention and monetization which happens to be far worse on mobile than on the web. On the web, say for a site like Zillow, a unique visitor may not have visited Zillow.com in many months, but upon Googling something like "home prices near 94107", the user will get results from real estate sites such as Zillow, Trulia and Redfin. Sure, the user may opt for Redfin, but over time there is a good chance that the user will end up back at Zillow.com via Google. Additionally, due to the extremely robust adtech and cookie-ing system that exists on the web, a site can and will find users by utilizing a variety of digital marketing tactics. Most of this does not exist in mobile. In the app economy, intent can get you a download but once that intent fades, particularly for apps with less frequent use cases, that user may never return. If an app is removed from the home screen, it is too easily forgotten. 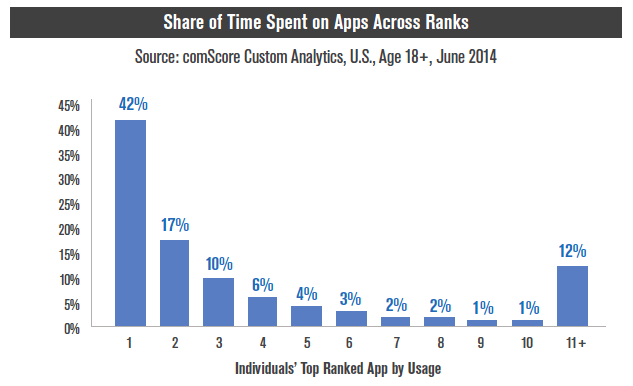 According to comScore, nearly 4 out of 5 smartphone app minutes are spent on an individual's top 3 apps. 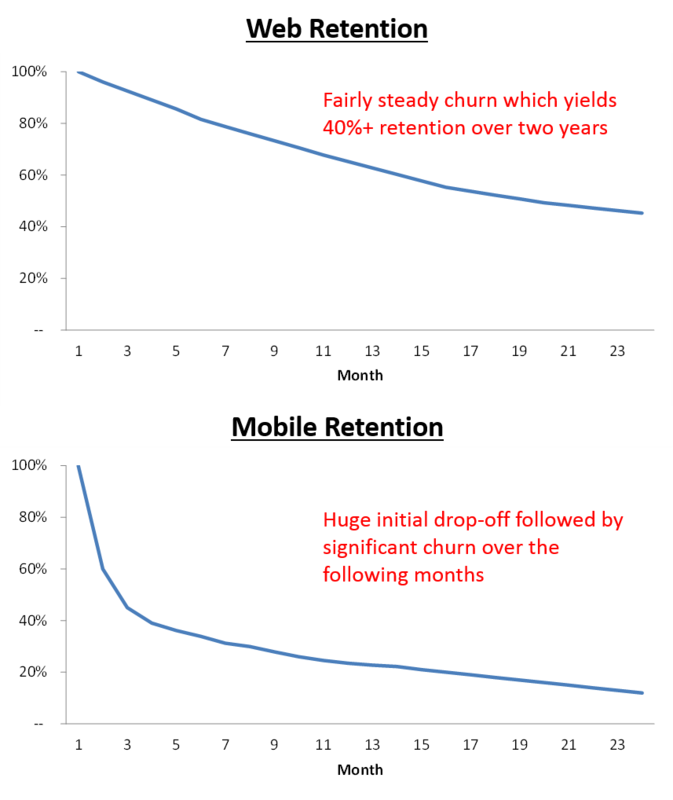 Poor mobile retention is brutal for a startup. It directly impacts LTV, unit economics and ultimate business viability. Further still, churned users from early cohorts may never come back. Once a user loses interest, it's an uphill battle to re-acquire them. The three issues outlined above are just a few of the many issues that mobile app developers need to contend with. However, I believe these are some of the biggest issues and aspiring app developers would be wise to understand them.